Having some herbs growing in your backyard garden means pleasant aromatic evenings with a flavoured tea or soup. Herbs are herbaceous plants that lack woody stems. These plants have soft outer bodies that when brushed against walls, produce amazing fragrances. This wonderful herbaceous mix by Gardeners Dream is a mix of 3 different varieties that will include Chives, Parsley, Sage etc (subject to availability). Herbs can be grown in containers indoors or outdoors in small gardens. They need plenty of sunlight where their performance is better. Herbs are classified as annuals, biennials or perennials according to their life span. Herbs like basil and cilantro will flower and die to the ground in winters. Others like sage, thyme, mint and lavender will flourish every spring for several years. Herbs are used for their medicinal properties and practice in cooking. They are used to garnish just about any dish for flavour and aroma. Plant them in a loose high-quality potting soil that is well-drained in containers, right outside your kitchen. Make sure they receive full sunlight although several herbs will thrive even in partial shade. Adding a layer of mulch made of coconut coir or shredded bark that will help in retaining moisture. Herbs might need regular watering. Container grown herbs need more water as the soil dries faster. 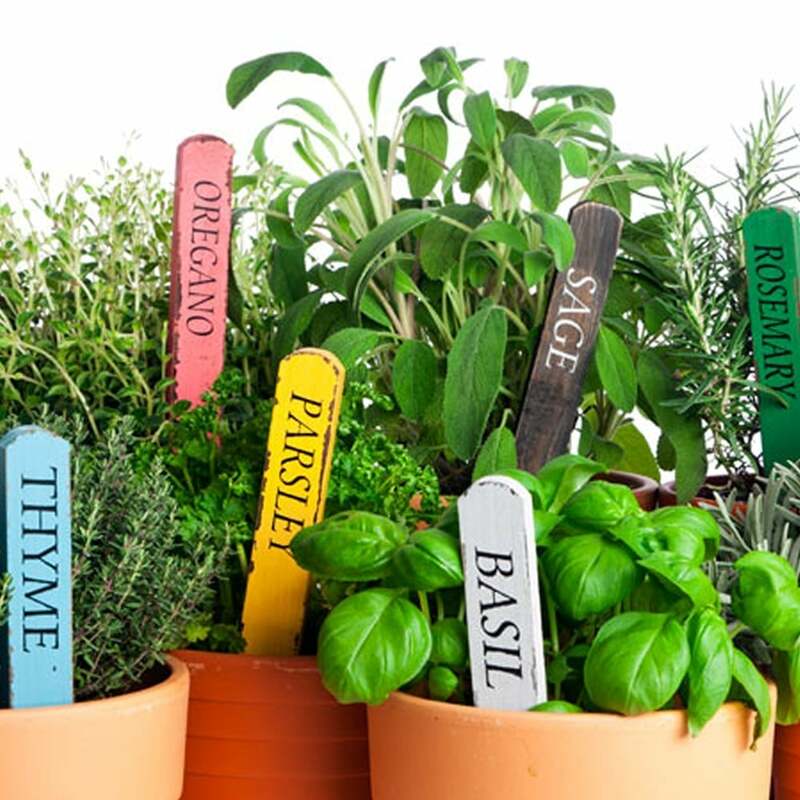 Plant a mix of several herbs in pots to create a decorative small herb garden. Use them for hedging and edging purposes. It is a great idea to have herbs indoors as their natural aroma is mentally relaxing and come with added health benefits.